I received my pre-order stash from Stampin’ Up! 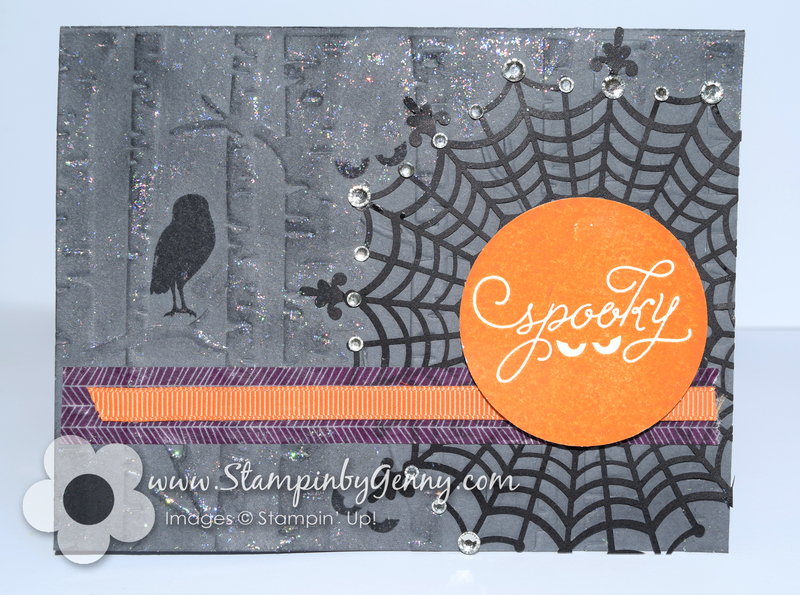 and part of my order included the Howl-o-ween Treat Stamp Set + Boo to You Framelits Dies bundle. Super cute images and the framelits makes it easy to die-cut them. These cute images inspired me to make a side drawer card. This type of card CASE’d from Jackie Topa. For instructions and a video click here. 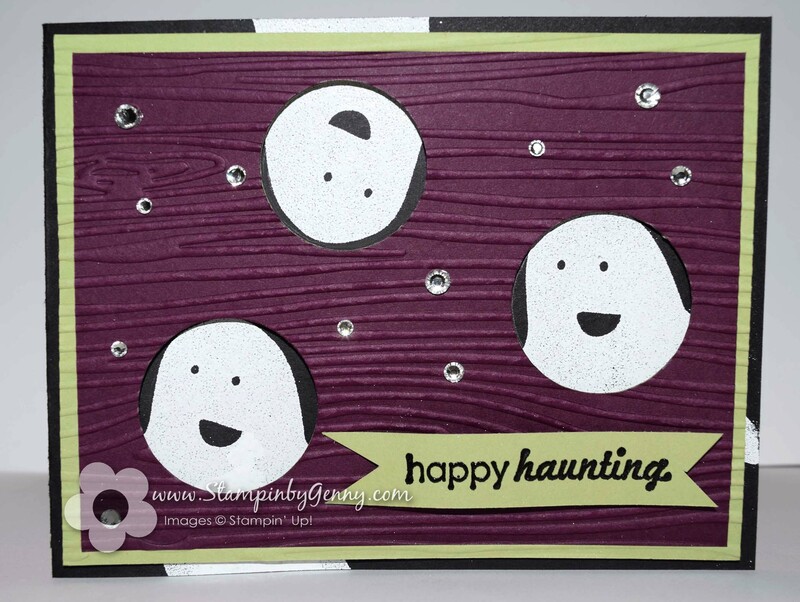 I have previously made a couple of Halloween cards of this type and can be found here and here. 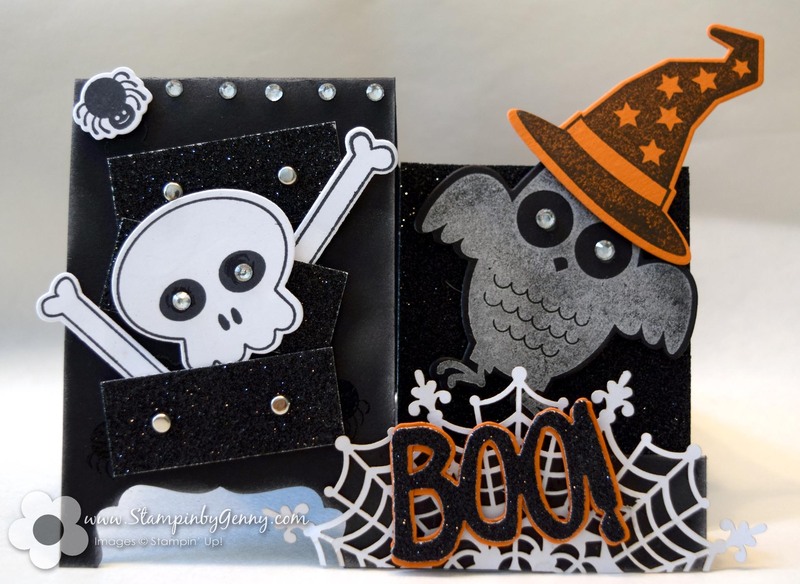 My side step drawer card features a skeleton and spider coming out of spooky drawers and an owl with a witch’s hat saying BOO! I also used for embellishment the Spider Web Doilies. I love them. One side is black and the other is white. I used the white side so it would contrast against the black. I stamped the owl with silver ink. I cut the drawers and the panel behind the owl from the new Black Glimmer paper. I also used the Decorative Label punch on the to create the legs of the dresser. I had so much fun creating this card! All these products may be found in the new 2015 Holiday Catalog. So easy to create this wreath. You get everything in the kit to create this wreath. You get wire and beads to create his spider.